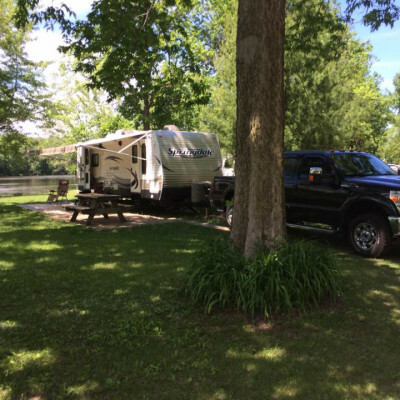 Join us at our RV Park and Campground in La Crosse, WI for a relaxing getaway on the beautiful Mississippi River. Call us today to reserve your site! Wiggle your toes in the grass and sip your favorite beverage while enjoying the shade of the old oak tree and an occasional boat cruising down the river. Walk through the park, and let yourself unwind. From sunset to sunrise it’s all about a dream, as you row, row, row your boat down the backwaters of the Mississippi River. Lay back in your lawn chair to gaze up at the stars and listen to the crackle of the campfire. Pettibone Resort, where life is about a dream! We’re located close to Downtown La Crosse, WI. For more information visit the La Crosse Convention and Visitors Bureau. Pettibone Resort is proud to welcome and honor Good Sam Club Members and Military Personnel! We are also a member of WACO.